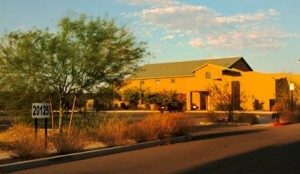 There is ample parking at the church, with handicapped parking on the south side of the building. Most worshippers enter through the west doors, the double doors you see as you enter the parking lot. At the 10:30 service, worshippers are greeted and offered a church bulletin (program). You may be asked to sign our guest book, and we hope you will. We would like to add you to our mailing or email list, but there is no obligation to give us any information. After getting a bulletin, you may find a seat and enjoy the worship service. Refreshments are almost always offered following the 10:30 service, and we hope you will stick around and get to know some of our members. The 9:00 am service is a little more self-serve. As you enter the building, please pick up a bulletin and find a seat.